Whether you love or loathe the school holidays, they’re the perfect excuse for gathering friends and/or family and bearing the joy together. House party anyone…? Two or more families holidaying together creates playmates for the kids and gin chums for mum and dad. While having a grandparent or two in tow might provide some daytime respite and even proffer a night on the town. Tempting? Or are we teasing? Well, now that we’ve got Scotts Castle Holidays on board, hopefully we’re being pretty realistic. So with castles, literally, galore and a competitive stable of mansions and manor houses at your fingertips, what are you waiting for? Book the friends you love or those whose kids you like. Bag a granny or grandad if you and your other half would benefit from some time alone. All the better if someone in the group is a fabulous (and willing) cook. Mooch through house party holiday properties by number of bedrooms, price per night, luxury factor, WiFi or how pet friendly they are. Share them with your mates and then just book and go. If you’re hosting a house party, you’ll need supplies. You’re going to need food. You’re going to need gin. You’re going to need some entertainment for the kids. And you’re going to have to get there and back. So park the prep with the person in your party best suited to the task. Put someone in charge of destination research. What’s on while you’re there, which are the best beaches, which beaches are still open to dogs in summer, what attractions, entertainment and museums will excite all the age groups, and where can you go when it rains. It couldn’t be simpler these days to plug in an online shop with your favourite supermarket. But wouldn’t it be amazing to slice into a locally and freshly baked loaf, to slather it with some locally churned butter, to brew a latte with milk from local farms, to serve up some freshly caught fish from the region’s shores and some cooperatively grown veg? Pretty Local in South Devon is just one example of local produce delivered straight to your holiday cottage door. There’s usually at least one avid adventurer in the group who’ll encourage off track, uphill and down dale wanderings. Embrace a clifftop ramble to discover secret coves or babbling brooks for a game of pooh sticks. The pooch in your pack will love it too. Ignite the adventurer in you! Assuming the person allocated to bringing the gin also brought the tonic, you can start before dinner and continue on through without actually leaving the house. 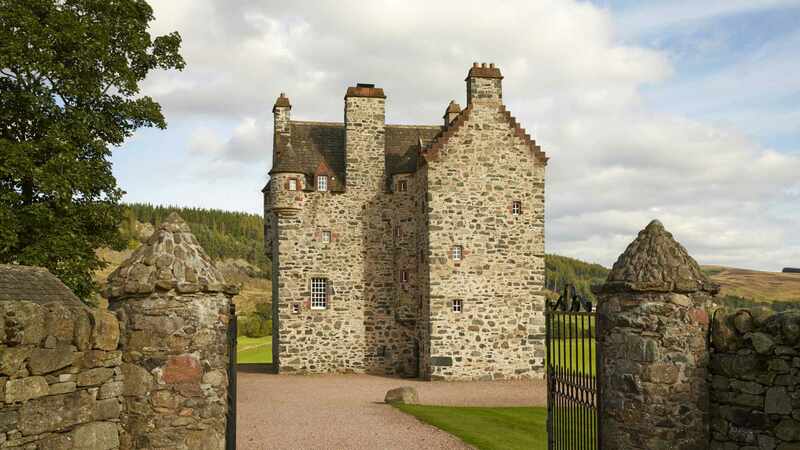 The glory of renting a castle is that there are plentiful rooms for entertaining. You and your house party skills will be in the socialite columns of the glossies before you know it. Pack in some Pinterest time to inspire your dinner party menu and table decoration to make the most of the formal dining room that’s a typical feature of large group holiday rentals. If there’s room in the boot, why not pack a posh frock and tux too…! At home you might have a postage stamp excuse of a garden, or you might be longing for a ride on lawn mower. Either way, when you rent a castle, there’s no gardening required – enjoy the vast grounds to your heart’s content. We bet you’ll rarely spot any weeds either. Oh the cliché of quality time… We spend so much time fleeting in and out of each other’s lives that we don’t know what to do when we all come together. Well park your expectations at the wrought iron gates. Enjoy your loved ones for who they are and the eclectic cheer they bring to your holiday. It’s time to make memories. Book your castle holiday before somebody else does.